In 2010, MWIDEFU requested Kilimanjaro Centre for Community Ophthalmology (KCCO) to initiate Direct Referral Site (DRS) visits to Mwika by ophthalmologists from the Kilimanjaro Christian Medical Centre (KCMC), a regional hospital located in Moshi. 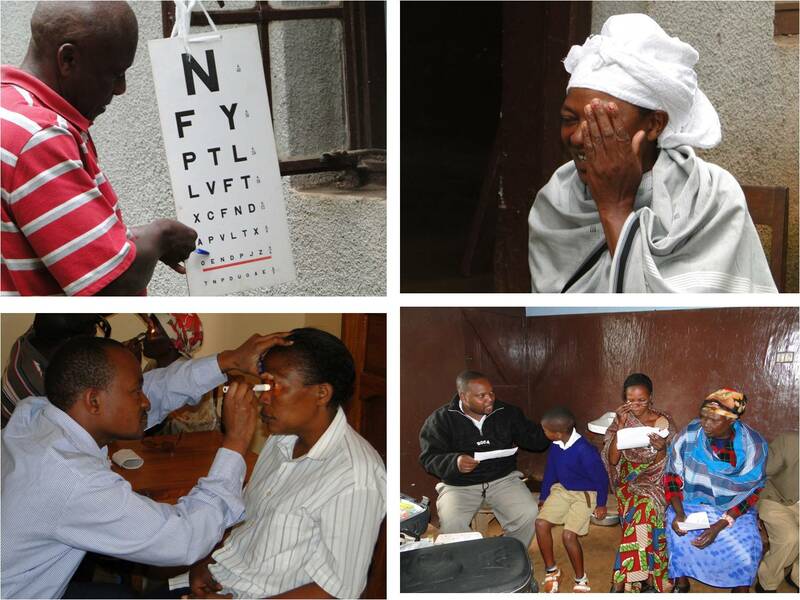 Thus far, KCMC has held four free eye clinics at Msae Health Centre and Uuwo and Shokony health clinics. Villagers are given visual acuity test and are examined by ophthalmologists for eye infection. Eye drops are sold for $0.75 and reading glasses for $4.00. Villagers who are suspected of cataract and opt to be operated on are taken to the hospital that same day to be operated on the following day. The cost to the patient is $20.00, all-inclusive. The day after the surgery, providing there are no complications, which is relatively rare, these patients are returned to their homes. 20 cases have been operated on.